The 21st century is not only an age of technologies; it is also an age of services. It is an age where social work remains of high relevance, as human contact and human support cannot be replaced by machines. If you are eager to reinforce your values, show the kindness of your heart, if you care about the well-being of society, or if you are keen on volunteering, social work is a profession for you. The studies in the Bachelor’s degree programme in Social Work at Klaipeda University last for 3,5 years. Students may choose one of the two offered specializations: Social Work in Community or Social Work in Health Care. The curriculum includes courses from the fields of psychology, medicine, sociology, management, philosophy, social policy, human rights, etc. Each specialization focuses on courses directly related to the chosen sphere. 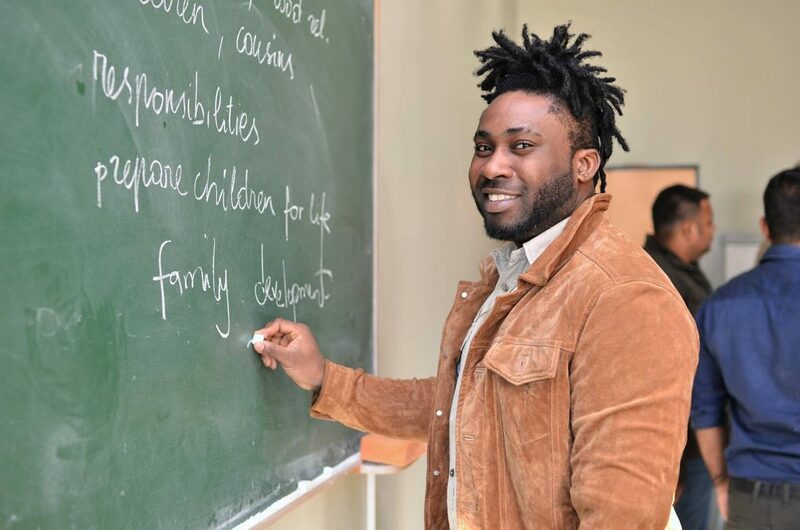 For students with specific interests, the programme offers courses such as dolphin-assisted therapy, social-occupational therapy and social work with refugees, or supervision. Strong emphasis is placed on students’ practical skills: social work studies have four periods of internships. After completing the studies of Social Work at KU, students will have the following career options: social work in community, in the system of social care, in the system of health care, or in educational, legal, and non-governmental institutions. PETER AKHIGBE AHONSI: “The experience was very good. I learned a lot from different staff members and different styles of teaching. I understood social work better. In Klaipeda University, the work stress is lower, we could communicate with teachers, we felt care, love and understanding from them, they were helpful“. MARIIA TSETHNEROVICH: “Social work studies helped me to socialize in Lithuania. I can better understand the main trends in Lithuanian social policy, economy and legal issues. I have very good relationships with other students, I feel very comfortable“.